What wardrobe is complete without a few beautiful scarves. Whether you tie it around your head with the knot in the back for a stylish and chic look, tie it around your head with the knot on the side, or just tie it around your neck in a cute bow tie it definitely serves as a multipurpose and must have piece. 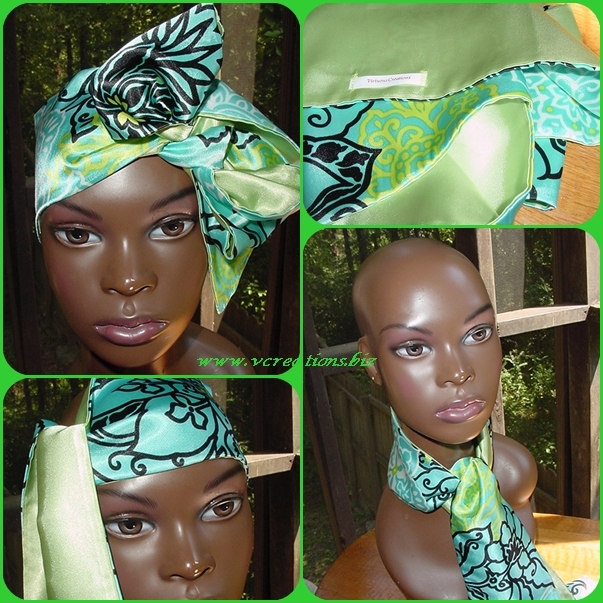 It is made of a satiny charmeuse fabric with a printed design on one side and a solid color on the other side and it is reversible so you are getting 2 looks in one piece. It is approximately 55” long and 3” inches wide. Hand wash in cool water with a gentle detergent and line/hang dry.